The trajectory of a person’s life can, like light, refract and traverse in a new, unplanned direction, compelled by the most unexpected events. Even by a surprise birthday party. The next summer, Graves followed through, hosting a party just for fun to which 500 people again flocked. Next BIG Thing Productions grew organically from there. People would approach Graves and ask if he could work on various events for various occasions after seeing his staging and use of props such as searchlights, military and first responder vehicles, and other background staging to go with the theme, such as a haunted beer garden for Halloween. He began receiving requests for weddings and then for nonprofit events. Graves is no stranger to the art of showmanship. 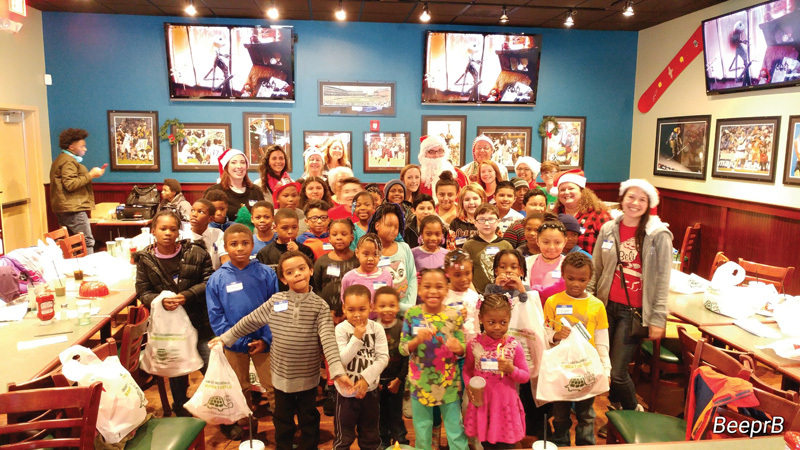 In his early years, he got his first bartending gig at Rams Head Tavern, which he credits as being the venue where he first got to know and love what he refers to as his Annapolis family—the community of friends he’s developed. He learned to bartend and then took it a step beyond, becoming a “flair” bartender after teaching himself some tricks. 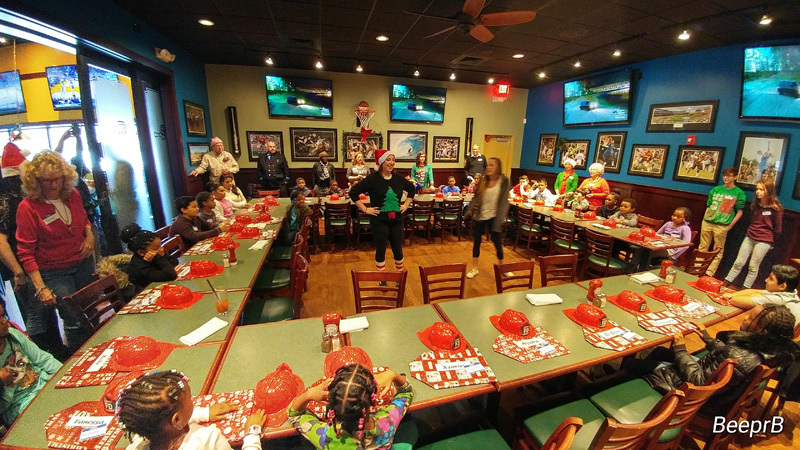 Next BIG Thing Productions may soon benefit from this area of expertise by incorporating server and bartender training for personnel to use at private events. 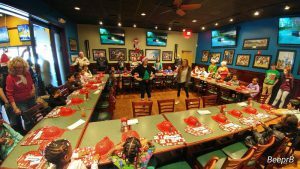 Kids wait for Santa to arrive during the Bykes 4 Tykes event at the Greene Turtle, Annapolis. Graves brings his talent and an all-embracing enthusiasm for people to planning, production, and promotions for nonprofit causes. 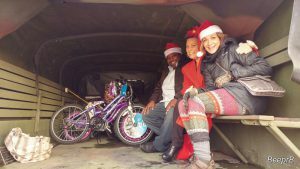 His illustrious client list includes Eastport a Rockin’, The Bernie House Walk a Mile in Her Shoes, and food and clothing drives for Lighthouse Shelter, to name a few. One annual charitable event—the Eastport vs. Annapolis Tug of War—allows him to exchange his clipboard for a section of rope to hold while helping to raise money for charities. Graves modestly claims bragging rights for being a member of a tug team made up of bars on the Eastport side, which so far has gone undefeated for five years straight. Graves comes by this type of work naturally, maybe even genetically. He hails from a large family, with elders who had lots of siblings that grew the family tree. All who are still living are local. Graves’ grandmother used to put on an annual family cookout attended by hundreds of people. When she passed, Graves stepped into her role, now heading up his family reunion committee but with one sanity saving tweak: it’s now a biennial event. The most novel event he’s ever produced was also one of the many he’s launched. 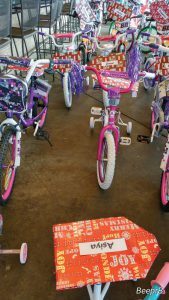 Bykes 4 Tykes provides bikes to children whose families otherwise don’t have means to provide them. 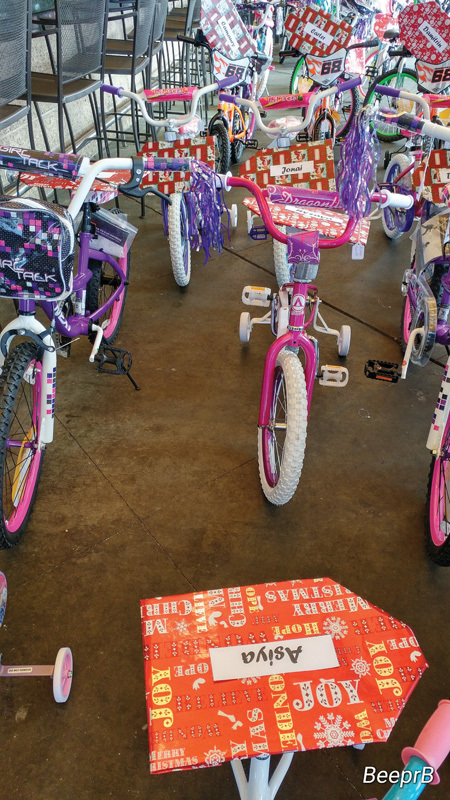 Just two years ago, Graves set a goal of making sure 100 children each year receive a bike. Sponsorships always get snapped up, so he plans to keep raising the ante. Halloween Glow at the Greene Turtle, Annapolis. Photo courtesy of Bridget Rheam. Error: Error validating access token: Session has expired on Saturday, 09-Mar-19 15:57:50 PST. The current time is Friday, 19-Apr-19 11:24:13 PDT.